An assortment of floating food sticks, pellets and flakes for feeding to all pond fish and koi, offering a varied daily diet with balanced blends of vitamins and proteins, ideal for promoting the all-round health and vitality of your fish. Each tub contains a selection of Nishikoi Staple (small pellet), Wheatgerm (medium pellet), Pond Sticks, Koi Sticks and Flake. 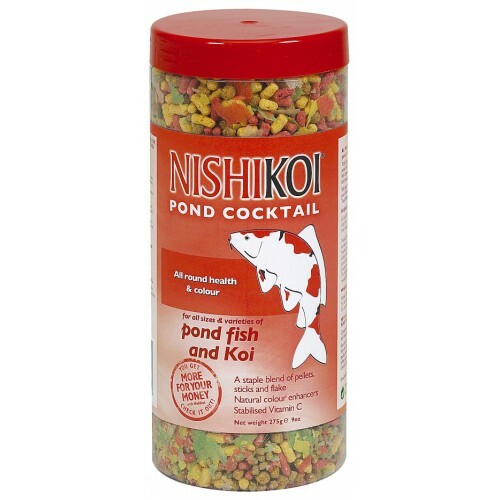 There are currently no questions for Nishikoi Pond Cocktail Fish Food - be the first to ask one!